If your betta is suffering from fin rot then you need to act quickly! While fin rot is extremely common and treatable, if left unchecked it can prove to be fatal. This complete guide on how to treat fin rot in bettas is going to teach you everything you need to know to give your betta a fighting chance! Without further ado, here is EVERYTHING you need to know about treating fin rot in bettas! 1 What Causes Fin Rot In Bettas? 2 Is Fin Rot Fungal Or Bacterial? 3 Is Fin Rot Caused By Stress? 4 What Are The Symptoms Of Fin Rot? 17 Do Fins Grow Back After Fin Rot? 18 Is Fin Rot Contagious To Other Fish? 19 Can Fin Rot Kill A Betta? 21 Do You Have A Better Understanding Of How To Treat Fin Rot In Bettas? What Causes Fin Rot In Bettas? Before you start treating fin rot, you should know what causes fin rot in bettas. After all, an ounce of prevention is worth a pound of cure! The number ONE cause of fin rot in bettas, as well as all fish, is POOR WATER QUALITY! Poor water quality is going to make your aquarium a breeding ground for bacteria, parasites, and fungal infections. On top of this poor water quality will also stress your betta out. And over time this will weaken their immune system, making them more susceptible to fin rot. Is the temperature of the tank under 78°F? Does the water appear cloudy? Are there pieces of uneaten food or feces in the gravel? If you notice any of these problems then you need to start working on them ASAP. However, poor water quality isn’t the only cause of fin rot. On top of this, fin rot can occur due to overfeeding or underfeeding. Inconsistent feeding can stress your betta fish out, causing their immune system to weaken and increasing the possibility of fin rot occurring. Is Fin Rot Fungal Or Bacterial? Believe it or not, fin rot can be fungal and bacterial. And once you know what to look for you’ll better be able to gauge which type of fin rot your betta is suffering from! When your betta is suffering from bacterial fin rot, it won’t be even. Instead, it will appear uneven and cause the rotting to look more ragged. The bacteria that causes this type of fin rot often cause damage when your bettas immune system is weakened. And it may have been in the water the whole time. If your betta is suffering from fungal fin rot then the rot will appear more even across the fins. On top of this, you may notice a white edge on your bettas fins. However, don’t confuse this with white spots which could signify ich (another infection). Once again fungal fin rot can strike better when your bettas immune system is weakened. Is Fin Rot Caused By Stress? As you’ve probably guessed by now stress can also cause fin rot. When high-stress levels are combined with poor water quality, poor diet or injury then the result can often be fin rot of one kind or another. What Are The Symptoms Of Fin Rot? Before you learn how to treat fin rot in bettas, you also need to be sure that it’s fin rot they’re suffering from and not something else. You already know that the most common signs are fins that appear receding or rotten, but what other signs are there? The fins just being slightly darker in color. The tips may be changing color to brown, grey, or white. The tips may also look irritated, red or sore. And most importantly, the rot won’t appear to be anywhere near your betta’s body. The fins have receded dangerously close to the body. At times you may notice whole clumps of fin falling off at once, instead of a gradual change. 1.5 cm of the fins may be dead. The discoloration of the fin at this point will be incredibly dark. You will be able to clearly notice the fins are starting to die off. The fins may also begin to be covered in white fuzz. And often times they’ll have red spots on them. The fins have receded completely to the body. Your bettas body is beginning to rot away. Where the beginning of the fins used to be there may be white fuzz. Other less noticeable symptoms of fin rot include lethargy and loss of appetite as well. Treating fin rot in bettas is going to be easier the earlier you catch it. The first step is to consider whether it’s necessary to move your betta to a quarantine tank. If your betta lives in a tank over 2 gallons or with anything else living (including plants) then you should quarantine it as soon as possible. By quarantining your betta you’re going to reduce the risk of fin rot spreading. It also causes less stress for your other fish who would otherwise have to deal with more water changes. And lastly, if you’re using medicine it may have a negative effect on the plant life and fish living in the tank. If you house a betta on their own with nothing else, then you won’t need to worry about this section. However, if you do need to set up a quarantine then this is how to do it! It’s important to remember that a smaller quarantine tank is normally better because it will be easier to dose with medication as well as changing the water. That’s why your quarantine tank should be no bigger than 2 gallons. And if you can it’s going to help MASSIVELY to keep it heated and filtered as well. The first step is to add water to your quarantine tank. You should fill your tank to the top with conditioned water. Once you’ve done this place a heater and filter into the tank and add the necessary medicine (which will be covered further down). When your tank hits the right temperature, take your betta out of its normal tank and place it into the quarantine tank. You’re going to want to make sure that your quarantine tank has some places that your betta can hide, but try to avoid things they can hurt themselves on. Fake silk plants are normally a great choice! Just remember that you should acclimatize your fish before adding it directly to the tank, to do this just place it in a bag full of the original tank water. Once you’ve done this let the bag float in the quarantine tank for 15 minutes before you release your betta into the quarantine tank. If you have a filter then, you can do partial water changes, 25% of water every 72 hours should be sufficient. However, if you’re not filtering your quarantine tank then you’re going to need to do a complete water change. If you need to do a complete water change then once again place your fish in a small bag with some of the quarantine tank water in. Add conditioned water to your quarantine tank, before acclimatizing your betta again. Because you’re only going to have one fish in your quarantine tank you’re not going to need as much good bacteria in there, as the bioload won’t be nearly as high as a normal fish tank. Also, you should try to keep the quarantine tank temperature between 76-78°F. Any lower and you’re going to make it too cold for your betta to thrive in, any warmer and you’re going to increase the chance of more bacteria growing in your tank. The betta fin rot treatment that you plan on using will be dependent on the severity of the condition. As well as this treatment may also depend on whether your betta is alone in a tank, or housed with other fish. If this is the case, it’s obviously important to keep the treatment as noninvasive as possible! You may have heard of using aquarium salt for fin rot before. And that’s because it works. Especially for bettas! Some medications cause damage to a bettas labyrinth organ which it needs to breathe. While the introduction of aquarium salt could stress your betta out, when used correctly it’s not going to damage your fish. You should never use aquarium salt for more than 10 days at a time. Obviously, it’s not supposed to be in the fish tank and prolonged exposure can cause problems. Like kidney and liver damage. You should always use the correct dosage, which you’ll find on the product. And remember while aquarium salt is incredibly effective it’s not going to work in the most severe cases of fin rot. And it’s going to be far less effective in low-quality water. You can get Aquarium Salt on Amazon for a good price! Often other popular medications that a lot of people recommend are bettafix or melafix. They are both made from the same ingredients except bettafix is a more diluted version. However, bettafix and melafix should never be used on betta fish as they can cause damage to a bettas labyrinth organ. If your betta is suffering from fin rot then it’s often better to choose aquarium salt. That being said bettafix and melafix may be a lot more suitable for fish that don’t have a labyrinth organ. Before doing anything you’re going to need to make sure the temperature and pH of the tank are adequate. Your tank should be between 76-78°F. With a pH as close to 7 as possible. Once all these parameters have been met, you should do a 50% water change. Change 50% of the water from your tank and replace it with conditioned tap water. Next step is to clean everything in the tank. Use a gravel vacuum to rid the gravel of any debris that can harbor or encourage bacteria to grow. This can be things like old food and faeces. If you’re using a filter in your tank you should also clean it in the tank. This is going to help keep the good bacteria in the filter and the water which is beneficial to keeping ammonia levels low. If your housing a lot of fish in your tank, and you feel like the poor water conditions are being caused because of a high bioload then you should consider moving some fish to another tank. In cases of mild fin rot, this can often be enough to cure it. You should keep an eye on your fish over the coming week to see if things are improving or getting worse. You should also check the water to make sure that the pH and temperature are staying solid, as well as checking to make sure ammonia, nitrites, and nitrates aren’t becoming too high. If you notice that your bettas fin rot isn’t getting any better, or if in fact, it’s getting worse then it’s time to move on to another method of treating fin rot in bettas. If your betta is suffering from major fin rot then keeping your aquarium clean isn’t going to be enough. At this point, a stronger treatment is required and you should isolate your betta, if it hasn’t been already. The next step is to clean the filter in your show tank to help preserve the good bacteria. Once you’ve done this, empty 100% of the water from the tank and clean everything with hot water. If you need to wash your plants then use warm water instead. Once you’ve done this place everything back into the tank and refill it with conditioned water. Next mix aquarium salt with conditioned water in a separate container. Once it’s fully dissolved then you can add it to your quarantine tank. You’ll need to do a 100% water change every day. And make sure that you never add aquarium salt to the same water twice. Do this every day for a week and monitor how your betta is doing. After a week if you begin to see improvements then you know the method is working. If your betta is suffering from body rot then aquarium salt will no longer do the job. At this point, you’re going to have to use stronger medication. This can include API Pimafix (anti-fungal) & API Furan 2 (anti-bacterial). Once again move your betta to a quarantine tank. Only this time it’s vital you keep the water oxygenated, you can use an air stone or bubbler. Strong antibiotics can often remove a lot of the oxygen making it hard for your fish to breathe. Just like before, completely clean everything in your main tank and fill it again with conditioned water. And make sure the water parameters are back to normal. And whatever you do, don’t stop the dosages early, even if your betta is showing signs of recovery. You have to folloed the instructions exactly. Remember, that you should also be doing 100% water changes before dosing your betta again. And once the treatment is over acclimatize your betta then add him back to the original tank. When your betta is recovering from body rot you should take anything out of the aquarium that can cause damage to his fins. They’re going to be incredibly delicate until fully healed. If you can, try to keep your betta away from other fish until he is healed completely. Using strong medications is incredibly stressful for betta fish. At this stage of fin rot, it’s quite possible that your betta will not survive. Now that you know how to treat fin rot in bettas the next step is identifying when symptoms are improving. After all, you don’t want to prematurely stop treating your fish OR overtreat it. You’re not going to tell instantly if your bettas fin rot is improving. But rather you should be monitoring your fish over time. If you notice the fins are regressing further into the body then you may need to use a stronger treatment. However here are the most common signs that fin rot is improving. You may notice that the white edges around your fishes fin are disappearing, or have disappeared. If the fin rot was more severe you may begin to see a clear membrane on the fins. A sign that the fin is regrowing. The fins and tail should start to look better. They’ll be less ragged and more healthy looking. If there was any dark discoloration in the fins then it should be turning back to its original color. 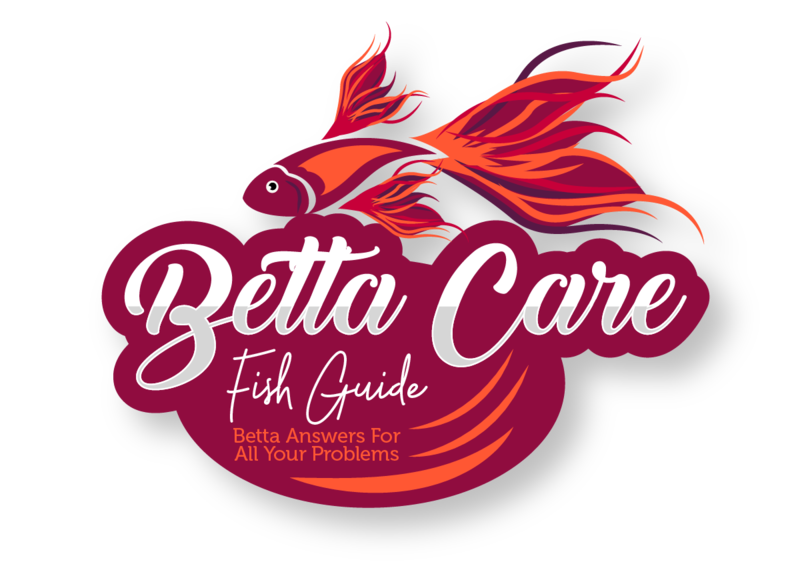 All of these signs are positive and show that your betta is on the mend. However, even if you see these signs you should still keep dosing your fish until the medication cycle is complete. Stopping the cycle early may cause the fin rot to come back. And it may be even more resistant to medication. Do Fins Grow Back After Fin Rot? The good news is that in most cases the fins will grow back after fin rot. In some of the more severe cases, the fin may never grow back. But often times a betta would not survive anyway. When you notice the fin growing back you should do everything you can to help encourage it! This can include taking anything sharp out of the tank which your betta can catch or cut his fins on. And most importantly, you must keep your water as clean as possible to help the healing process as well as reduce the chance of fin rot occurring again. You should see a noticeable difference a month after your betta is cured. 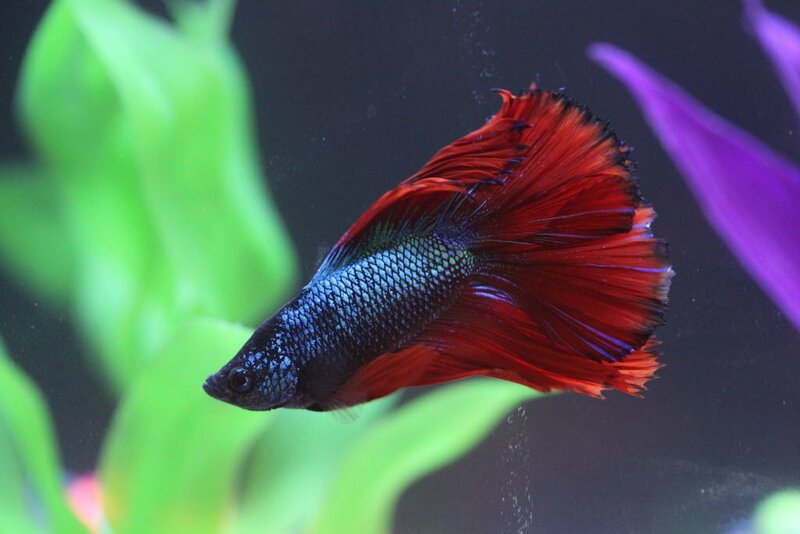 A bettas fin grows at about the same rate as your fingernail, so if the fin rot is severe it may take a matter of months before the fins are fully healed. It’s also interesting to know that sometimes the fin won’t grow back in the same color it was before, it could be a few shades darker or lighter. Is Fin Rot Contagious To Other Fish? Fin rot is extremely contagious. Once you know that the bacteria or fungus that causes fin rot is in your tank you’re going to have to do a 100% water change to get rid of it. As well as scrubbing everything in your tank with hot water and cleaning the filter as well. Once you’ve completely cleaned your tank you should monitor all your fish to start looking for symptoms of fin rot. If you do see any symptoms then you should follow the steps listed above. Can Fin Rot Kill A Betta? If left untreated, fin rot can be fatal to bettas. The moment you notice fin rot occurring you need to act immediately. In extreme cases, fin rot can lower the life expectancy of a fish to a matter of weeks. If you think your fish has this level of fin rot then sometimes it’s better to euthanize them. If you’re worried about your beautiful betta getting fin rot, then don’t. Because the good news is that fin rot is extremely preventable. Here are a few of the best things you can do to prevent fin rot. Make sure that you’re cleaning your tank regularly. If you have a smaller tank (2-3 gallons) then you should clean it every 3-5 days. If you have a bigger tank (5 gallons) then you only have to clean it once a week. The more your tank holds the less you’ll have to clean it because it’s harder for the water conditions to change dramatically when there’s more water. If your tank is over 5 gallons then you should aim to do a 25% water change or higher every week. If your betta is living with fish then you need to make sure that the tank isn’t overcrowded. Overcrowded tanks increase the bioload. The bioload is any organic matter that a fish produces. And as you can imagine, the higher the bioload the more risk of bad bacteria growing in your tank. Make sure you’re feeding your betta high-quality food. Low-quality food can increase how stressed your betta is, which in turn can compromise his immune system. Use a filter in your tank to help cycle the water. Just make sure that it’s not too powerful as this can stress your betta out. You should also use a gravel vacuum to clean any old food, faeces or debris from the bottom of your fish tank. If you notice that other fish are nipping your bettas fins then you should separate them from each other. damaged fins are more susceptible to fin rot. And obviously, try to handle your betta as little as possible. Do You Have A Better Understanding Of How To Treat Fin Rot In Bettas? I hope this comprehensive guide has taught you everything you need to know about treating fin rot in bettas. If you found the information useful then you should bookmark it so you can come back to it at a later date! If you have any questions you want to ask, or more information about fin rot in bettas that you’d like to leave then please do so in the comments below! Otherwise, I hope you and your betta have a great day. Dropsy In Bettas – If you’ve never heard of dropsy or don’t know the signs and symptoms then you need to check out this article. Dropsy is a very serious disease and if it’s not caught early enough, will often result in death. Velvet In Bettas – Velvet is a common disease in all fish, including bettas. However, if you don’t treat velvet early enough it could quickly cause permanent damage to your betta! Ich In Bettas – Ich is similar to velvet in the fact that it’s going to be very noticeable on your bettas scale. If you don’t remove ich from your tank quickly enough it can affect every fish. Cloudy Eye In Bettas – If your betta has cloudy eye you’ll be pleased to know it’s one of the less severe illnesses. With the right care and preventative measures, you can cure cloudy eye quickly! Popeye In Bettas – The early signs of Popeye are often confused with cloudy eye. However, don’t be mistaken popeye is a lot more dangerous. In fact, if you leave Popeye to long your bettas eye might rot off. 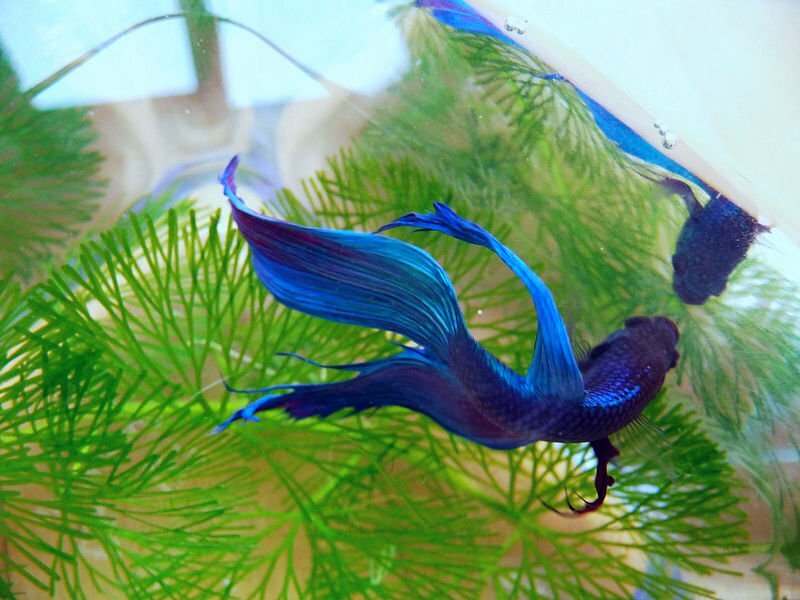 Common Reasons Your Betta Is Swimming Erratically – If you notice that your betta isn’t swimming right then there can a serious cause behind it. The right treatment can save your betta and the wrong treatment can make things worse. So read this article if you don’t know the common reasons that cause your betta to swim erratically.